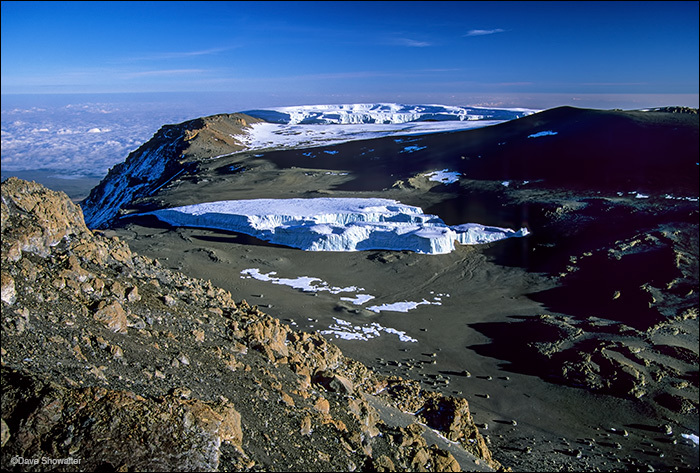 Crater glaciers are seen from the summit of Kilimanjaro, 19,340'. Our guide told us that these glaciers, now destined to disappear due to global warming, once filled the craters. It is estimated that all of the glaciers on Kilimanjaro will be gone by 2025. Photo © copyright by Dave Showalter.